Abhinav Bindra gave an impressive performance to win gold in Men’s 10m Air Rifle at the 8th Asian Airgun Championship on Sunday. The 2008 Beijing Olympic gold medallist Bindra, who turns 33 on Monday, shot 208.3 to bag the top prize ahead of Kazakhstan’s world number eight Yurkov Yuriy (206.6) and Korea’s Yu Jaechul (185.3) on the first day of competition at the Dr. Karni Singh Shooting Range in New Delhi. London Olympic bronze medallist Gagan Narang, finished fourth while another Indian, Chain Singh could not defend his title and finished sixth. Narang looked well in control, shooting 10.6, 10.6 and 10.5, to take the lead after the first three shots of the finals. He then shot a 10.3 followed with a perfect 10.9 but his sixth shot on 9.2 pulled him down two places to No. 3 spot. In his next 10 shots Narang shot two shots on 9.8 and eventually finished fourth with a score of 164.5. Bindra, however, maintained his consistency and was way ahead of the rest of the pack when the finals ended. He also had the best qualification score of 627.9 (105.6, 103.9, 105.8, 105.4, 102.7, 104.5). “A lot of training has gone into it. I am always trying to do the best I can. It may look easy but I can guarantee it’s very, very tough,” Bindra said after his triumph. “It’s always good to win medals. I can’t call it a practice but yes it’s good preparation for Rio Olympics because there were medals at stake. When there is a medal involved we can’t call it practice because there is varying degree of pressure,” he said. 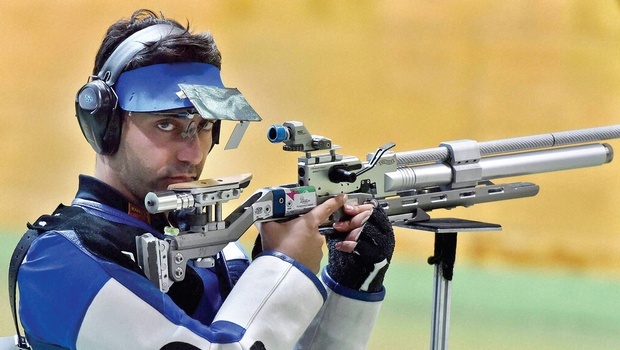 India’s rifle coach Stanislav Lapidus was never in doubt about Bindra’s chances in the tournament. “There was no doubt about his result, I was expecting it, but with Gagan, it was different. 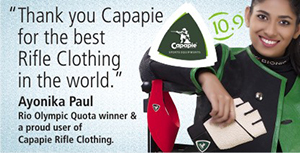 He is preparing for the future,” Lapidus said. In the qualification, Gagan shot 622.6 (105.6, 103.2, 103.7, 102.5, 104.9, 102.7) while Chain shot 618.1 (103.1, 103.5, 103.1, 103.5, 102.8, 102.1). India also won the gold in the 10m air rifle team event with Bindra, Narang and Chain Singh shooting a total of 1868.6. The Korean team of Kim Dajin, Yu Jaechul and Kim Taegon (1859.1) finished second and Saudi Arabia’s Mesfer Abound Alammari, Faiz Anazi Ali and Mesfer Mubarak Aldawsari (1824.8) took the bronze. 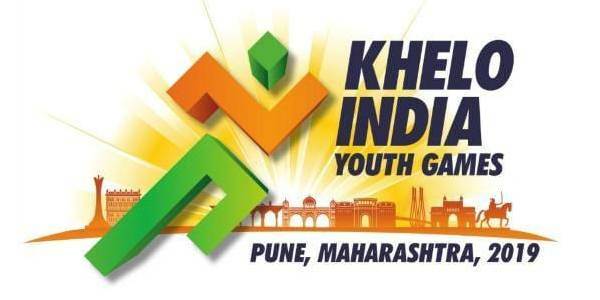 Earlier, Satyajeet Kandhol started India’s proceedings with a gold in the Youth Men’s 10m Air Rifle. Satyajeet shot 204.8 in the final, just ahead of Chinese Taipei’s Lu Shao-Chuan, who managed 203.7. Iran’s Daavoud Abadi settled for bronze. In the junior category, Pratik Borse of India claimed silver with an effort of 203.9.